Next Day Delivery Services – Door-to-Door timed sensitive delivery services by the end of the next business day Nationwide. Shipments that weighted above three (3) kilos that requires time guaranteed door-to-door delivery. Package Description: Documents, parcels, cargo and/or any shipment with minimum weight of 3 kilos. Next Day Services – Door-to-Door timed sensitive delivery services by the end of the next business day Nationwide. ECONOMY services is a valued priced door-to-door delivery service that offers a day-definite commitment for your shipments, with transit time specified within 2-10 business days, depending on your destinations and requirements. Now you can handle even your heavier shipments in the same way as your other time sensitive smaller parcels, conveniently and reliably with DEL ASIA ECONOMY SERVICES. Your business will benefit from greater control over delivery times and shipping costs that comes with this day-definite solution. 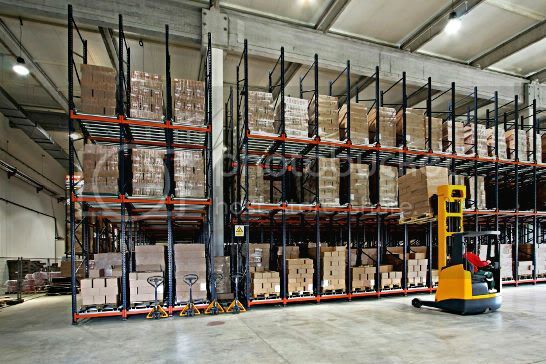 A warehouse management system, or WMS, is a key part of the supply chain and primarily aims to control the movement and storage of materials within a ware-house and process the associated transactions, including shipping, receiving, put-away and picking. The systems also direct and optimize stock put-away based on real-time information about the status of bin utilization. Goal is to provide valued clients an affordable outstanding service for hauling cargoes and other transport services.